One might deal with the history of our fraternity, and interesting indeed it would be. Or one might draw up a roster of distinguished Masons of the past and the present, and thrilling indeed it would be. Or, one might give a recital of the ideals and principles of Masonry, and refreshing indeed it would be. But is there not something more important to tell, something more vital? To me it seems that the most important consideration is: How should Masons act? How does Masonry affect your life and mine? It is an accepted fact, is it not, that Masonry—while it teaches men to be religious it is not a religion, while it stresses democracy and responsibilities of citizenship it is not a political organization, while it practices charity and is not a charity institution, while it indulges in the esoteric is yet only a philosophy. Masonry, above all, is a way of life. Do we not teach brotherly love, relief, truth, temperance, fortitude, prudence, justice? Do we not pray: “Grant that the sublime principles of Freemasonry may subdue every discordant passion within us”? the square, the level, the plumb, the trowel, the compass, the acacia, the common gavel, and so on. These symbols, of course, need interpreting. Thus, for example, we are taught that the common gavel refers to the necessity of divesting our hearts and consciences of the vices and superfluity of life; or that the plumb admonishes us to walk uprightly in our several stations before God and man. So far I have said nothing new or startling. But now—here is the basic proposition I would present in this message. Is it, that these teachings revealed through the symbolism of Masonry are themselves mere word-symbols & they themselves need interpreting. The plumb, we have noticed, symbolically admonishes us to walk uprightly, namely, to act correctly, to do the right thing. But what is the right thing? ‘To walk uprightly”—that phrase is a word-symbol, it is a generality, is it enough to admonish Masons to walk uprightly, to do the right thing . ”you must do the right thing”? “I want to do the wrong thing”? Brotherly love, relief, truth: these are our three principal tenets. It is fairly well defined in detailed terms what we mean by relief. We mean a Widows’ and Orphans’ Fund to be administered in specified circumstances, the Masonic Foundation and assisting Brothers and families in difficulty & including hospitals for children. Is it sufficiently defined what we mean by truth? Scientific truth is one thing, moral truth is another; and esthetic truth is still another. Moreover, much that was thought true one hundred years ago is not regarded as true today. There is a process of evolution in our knowledge or discovery of truth. It is wrong to “tell a lie.” What about a “white lie”? Suppose someone whom you loved dearly was affected with an incurable disease, but did not know it and remained hopeful. Should you tell that brother, or father, or mother, the truth? How answer that? What is truth? “On this theme we contemplate,” says our ritual regarding truth. This is indeed a theme on which to contemplate. Splendid! But in a specific situation, where there are two alternatives, which shall it be, which is just? Listen in to any one of these TV programs, like Doctor Phil, or the like, which talk of domestic wrangling and arbitration. Both sides of the controversy invariably think they are right, both believe that what they demand is justice. How much can it accomplish to instruct them not to deviate from justice? What they need to know is—what is just in this particular dilemma? If Freemasonry is a way of life, and if we take Freemasonry seriously and desire to live that way of life, is it not highly important that we interpret our principal tenets and cardinal virtues and general obligations in terms of day-to-day living—in each situation in which we find ourselves to know how should Masons act ! This is a tremendous challenge. It would require a full-sized book for real analysis—many volumes perhaps. For the purpose of this message, however, I would like to convey some of the thinking I have done regarding this topic during recent months. Make use of the best knowledge which we inherit from those who have preceded us. This is not to say former generations were any more brilliant than we. It is to say that a single lifetime is of short duration and that common sense will dictate that we take advantage of all that was learned before our entrance upon the stage of human existence, that we might begin where our predecessors left off instead of going through the tedious process of relearning what they have already learned, of what is readily available to us. A suitable analogy is that of a young lad trying to watch a parade. He cannot see any too well over the heads of those standing in his way. He asks his father to raise him upon his shoulders. The father does this and now the boy can see remarkably well—farther in fact than his own father, for he has the advantage of his father’s height in addition to his own. So we may climb upon the shoulders of the generations that preceded us and begin with the knowledge that was already theirs. It is for this reason that our Ancient Landmarks in Masonry are so important. These are, in a sense, the shorthand of Masonry, summing up much of the wisdom of that which has gone before. The Volume of the Sacred Law is given to us as a rule and guide, that we may consult the very best that we have inherited from ages gone by. The VSL is a guide for all mankind but it has its special importance within Freemasonry. It would be well for each Lodge to have its own five-foot bookshelf, on display and accessible. Would it be too outlandish a suggestion for me to pass along the recommendation that wherever possible a candidate for the degrees of Masonry be not only instructed in the memory work required but in addition be encouraged to read an authoritative and inspiring book on the fuller significance of those degrees? Or the coach may discuss this matter with the candidate. Why be in such a hurry to move the candidate along from the first to the second to the third degree? As it is true that we live by the light of the stars which shone centuries ago, whose light reaches us only now, so it is true that we receive a good share of our enlightenment today from the human great lights of the past. We each have someone whom we admire—before whom we wish to appear at our best. It may be a parent, a friend, a brother. What would he think of this act I contemplate? If he were in my place, how would he decide? What example would he set for me? Masonry provides us with magnificent exemplars of conduct. We have our choice. Do we wish to emulate wisdom: there is the ever-available example of King Solomon. Do we wish to emulate courage, fortitude, fidelity: there is the superb example of one illustrious in Masonic tradition. Am I willing that my behaviour be in the open, for others to know? The moment that I hesitate to permit public knowledge of a planned course of action, the moment it is clandestine, that very moment I may be fairly certain that I should abandon such procedure. Those who write anonymous letters know that they are doing wrong, otherwise they would identify themselves with their proper signature. A man’s reputation is of paramount value. It is the result of his known acts and attitudes. Ask: Would I, a Mason, object to having my contemplated act known? Am I seeking to be an exception, or would it be proper for everyone to act as I would choose to do in a certain set of circumstances. This is the well-known Categorical Imperative as enunciated by the philosopher Immanuel Kant. It does not take much persuading to convince you of the error in the judgment of the driver of an automobile who, rolling up to the crest of the hill on a two-lane highway divided by a double line, regards himself as superior to the requirement to stay on his own side of the highway; that this is a requirement for others but not for himself. We recognize the inevitability of an accident sooner or later if this mistaken notion be followed long enough. I wonder whether you heard of the man who came to his physician, complaining of constant headaches. The doctor asked whether he smoked too much. “No.” Did he keep late hours, and sleep insufficiently ? “No.” Was he stepping out on too many dates? Who is so self-righteous as to claim that he goes through life with a halo on his head! Standards we demand for others we must demand of ourselves. In a democracy this same guide of conduct gives rise to the guardianship of minority rights. Each individual is in a true sense a minority. If I desire free speech for myself I must desire it for everyone. If I desire freedom of religion for myself I must desire it for everyone. the happiness that we shall find in life. It has been observed with wisdom that when we violate standards of conduct we do not break the Ten Commandments; rather, the violation of the Ten Commandments breaks us. We have the power to determine whether we shall be integrated useful personalities or walking wrecks. Masonry stresses the responsibility of the individual: the candidate knocks on the door himself, he is individually received, he prays for himself, he travels the road alone; he is individually obligated. The emphasis in Masonry upon the individual is especially pronounced in the regulations regarding balloting. One black ball-the judgment of one individual—may prevent a candidate from becoming a Mason. The use of the ballot box is a sacred trust in which each individual must search his own conscience that he err not. On his sole responsibility, a man good and true, may be deprived of that which Masonry could give to him and likewise that which he might bring to Masonry. Still, the individual Mason stands on his own grounds and follows the dictates of his own conscience. This stress upon individual responsibility carries with it the meaning that it is not sufficient for a Mason to be a good fellow, pleasant and acceptable though that may be. It is rather that he be able and ready to stand up and be counted where it counts. It is, for example, that when he finds himself in a group that is running down some one person or category of persons, in whatever regard it be, that he express his own true judgment and if need be risk whatever popularity he might lose, so long as he makes a stand for the sake of truth and justice. We in Masonry know that it is often necessary to face ruffians and to be prepared to say “I will not.” If we have not learned this lesson, then we have indeed learned little in Masonry. Unlike the times of King Solomon, peace and tranquility do not pervade the world of 2018 A sort of peace—but no tranquility. I am speaking of something real, immediate, here and now. There is crying need for the influence of one who acts as a Mason. The world needs desperately men of virtue and courage. Each one has a station in life to fulfill. Each one has a purpose to accomplish on earth. Though sacrifice be part of the plan, though fortitude be demanded, let each one recognize his individual obligation and with vigour exert that influence for good which is expected of a Mason. Can a Mason be indifferent? All the darkness in the world cannot put out the light of a single candle. These five guides to Masonic conduct are only a beginning; much more remains to be said. But within the limitation of time allotted to this address it may possibly indicate the avenue of approach that must be followed. It is possible to live without being a Mason. It may not be as complete a life, thought I.!!! Likewise, it is possible for one to become a Mason without it greatly influencing his life. 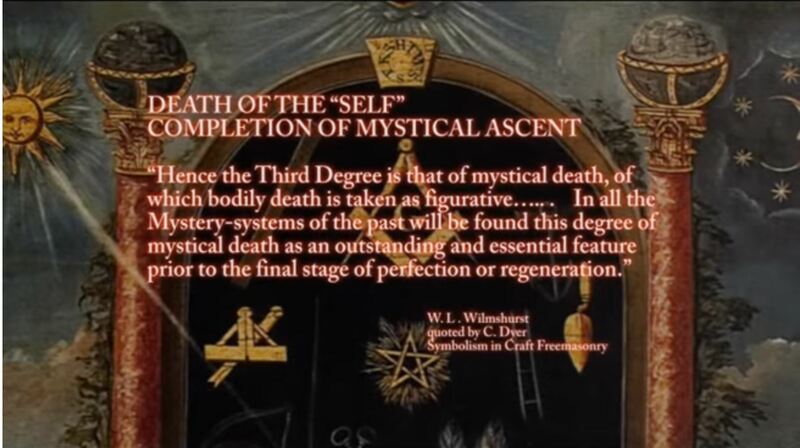 But if one takes to heart the lessons of Masonry, and interprets them in terms of action—interpret not only the symbols but the word-symbols as well—this can lead to a release of energy not unlike the mighty power of atomic energy. What a force for good might emanate from Masons in this District, this Province, this State and your Country. You who are here, try it out in the Lodge, set up a chain reaction, like that which sets off atomic power, from one Mason to the other. Devote some meeting, not to routine business or conferring degrees or social planning—all necessary and worthy—but, for a change, try to inaugurate discussion of how specifically we may apply to our daily deeds and the problems of our generation some of our principal tenets and cardinal virtues. May they so conduct themselves that they will be easily distinguished as Masons, not by an emblem worn, nor by a grip, or secret word, but by what they are and do. To fellow Freemasons and anyone else who may be reading this paper, may I express my opinion that it is one of the very best if not THE BEST explanation of what Freemasonry is all about. Of note is the fact that this paper was written in 1946 (72 years ago ). Times may have changed but our mandate to attempt to make Good Men Even Better has not !!!!!!! WHO & WHAT we are as Freemasons & would appreciate an explanation.